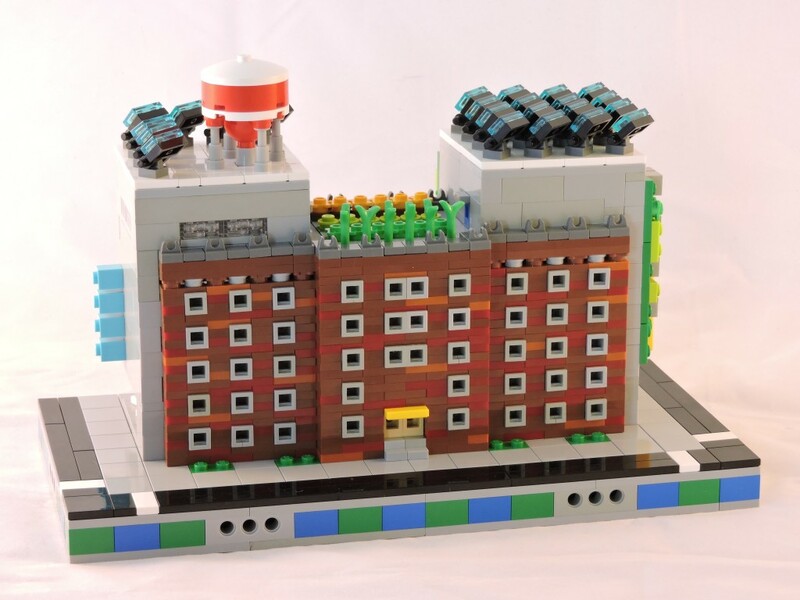 I’m fascinated by Lego architecture, as a specific extension of my love of architecture in general. 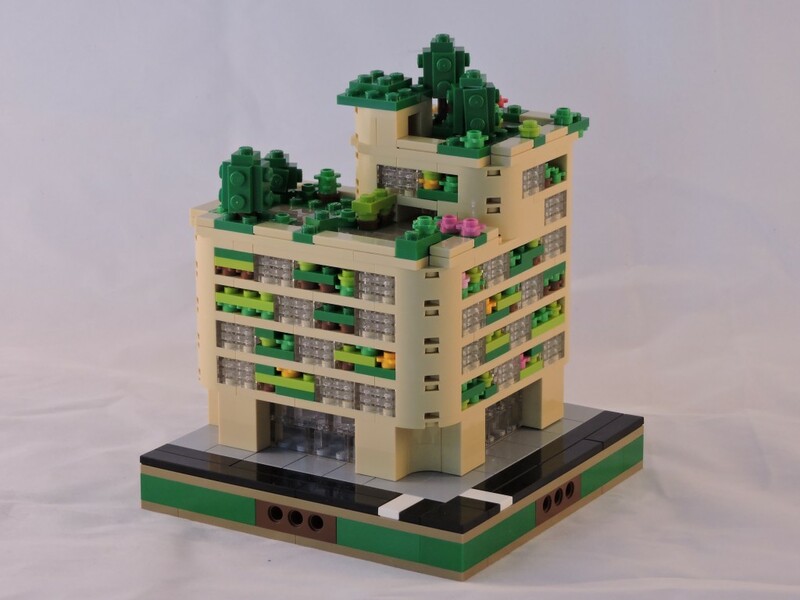 Building with bricks (mostly plates actually) lets me express those desires without the lengthy schooling that it would take to actually become an architect. This has me building Micropolis modules. 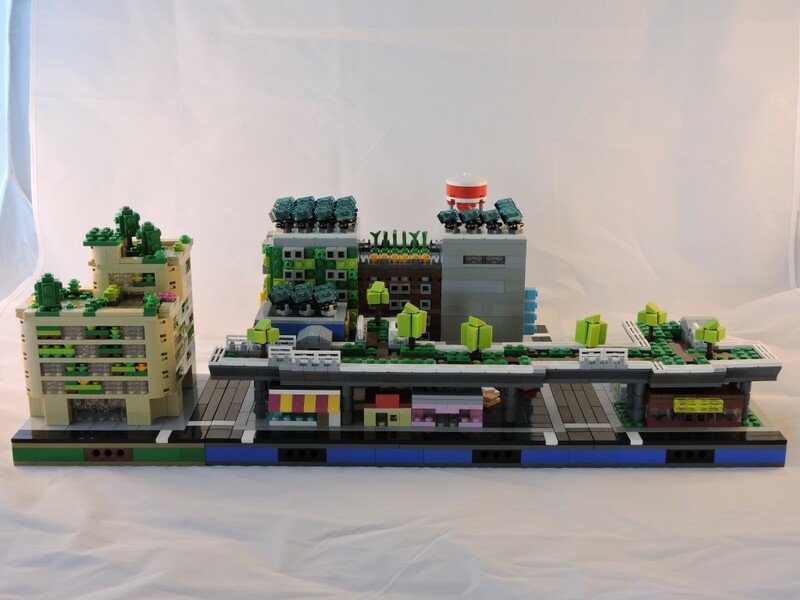 If you aren’t familiar, Micropolis is a standard (developed by TwinLUG) that allows builders to craft pieces of an urban landscape that will interconnect with those of other builders with a minimum of planning. 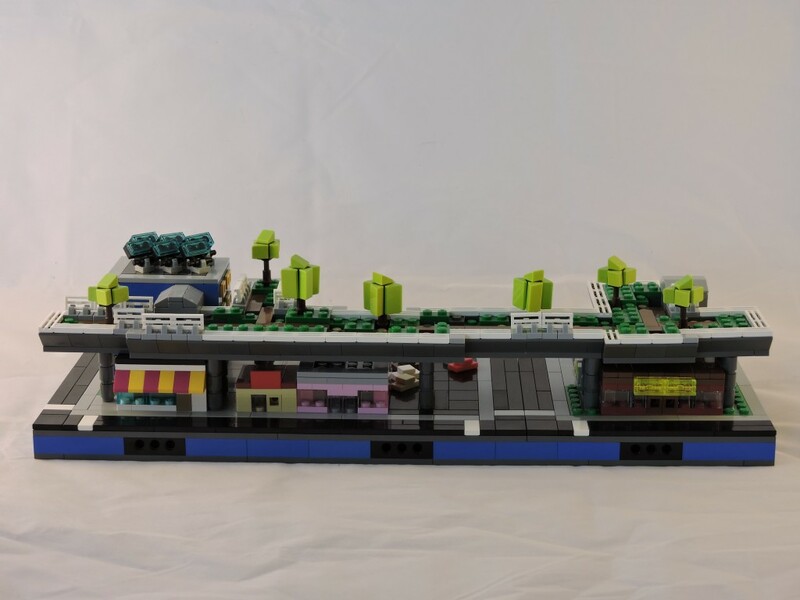 The basic module is a 16×16 quarter block with street running along two edges. Four of these modules make a city block and can be tiled in any direction as long as space is available. Since I already have a love of little trees, I decided to start making modules with green spaces. I started with a high line park, inspired by the one in New York. I made the decision early on to make the park span more than a single module. I settled on three by one, for a 16×48 stud footprint. This allowed me to build a sprawling length of elevated park and a string of small buildings underneath it. Each building has its own character with a mix of heights and styles, hopefully giving each the sense of individuality. The park above has a meandering boardwalk, surrounded by greenery and the occasional tree. The fencing along the edge is taller in areas where the boardwalk gets closer to the edge. A small concrete building at each end houses elevators and stairs and such. From the other side, a different set of details is visible. A small parking lot and a fountain in the middle. Across the street is a small pod of food carts (a common sight here in Portland) and a few wooden tables. The blue building at the other end is probably full of small creative offices, a refitted building older than the freight line that became the park. 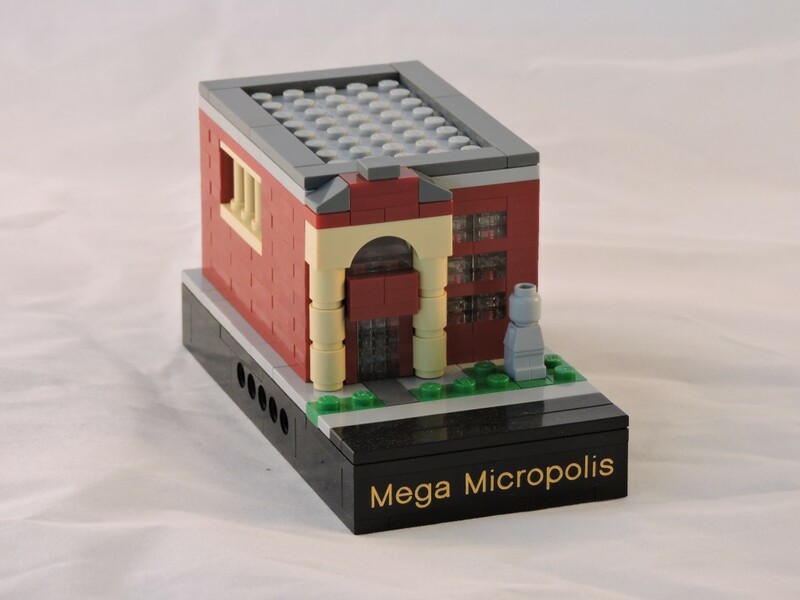 I won the ‘Mega Micropolis’ trophy for this module at Bricks Cascade 2015. 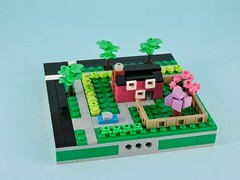 I was inspired by this to build a couple more buildings for my green city. I scored a bunch of tan macaroni and matching curved plates a couple of months ago in a draft. 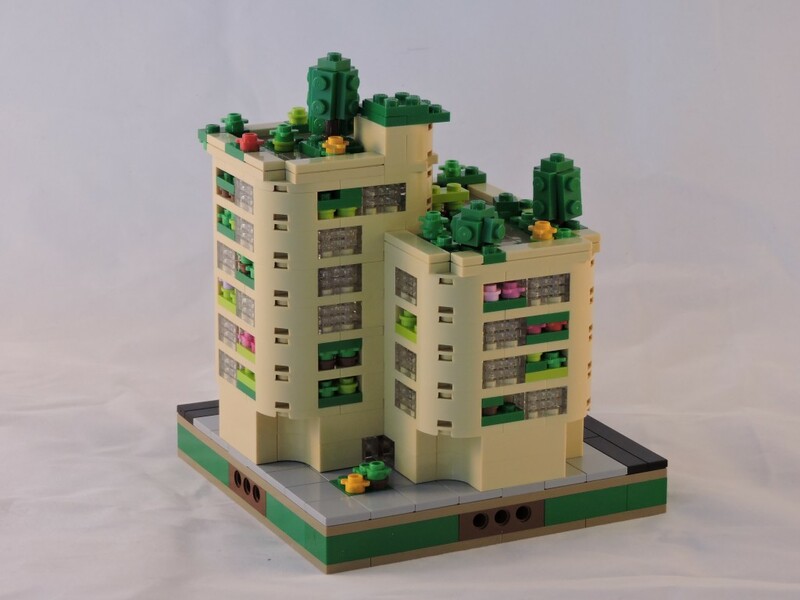 I knew almost immediately that they were destined for a building with balconies overflowing with greenery, but it took a bit to see the shape. I think that the finished building evokes the hanging gardens inspiration. Nearly every floor is festooned with the color of plants and lush gardens top it off, literally spilling over the edges. From the back, the l shape of the building is more apparent. This was also the first modules where I color-coded the base. This comes from a conversation that I had with the theme coordinator while he was arranging modules at Bricks Cascade. I off-handedly suggested that we should code the bases like zoning. 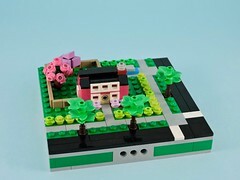 Everyone that I’ve bounced the idea off of has been encouraging, so this one has a predominately green base to denote that it is a residential building (I settled on using the colors that I remember from simcity). 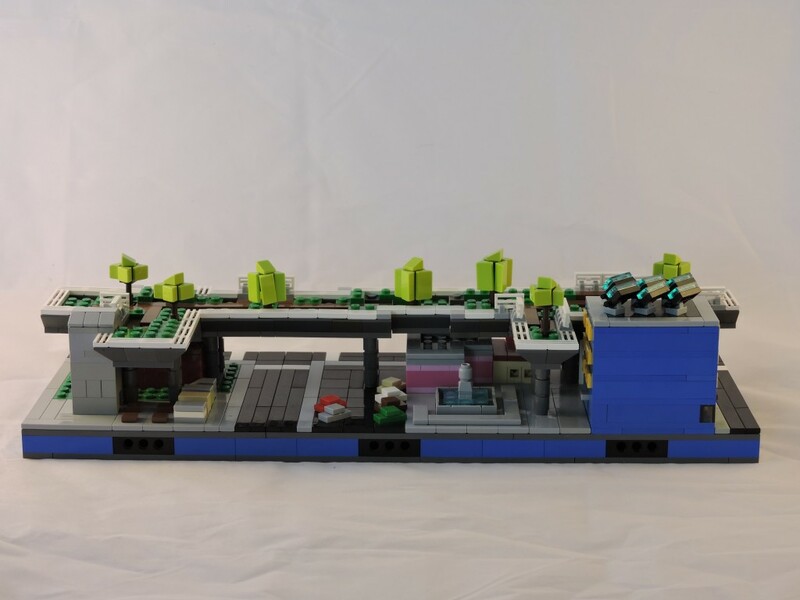 I actually went back and rebuilt the base for the High Line Park so that it would be commercial blue. As part of my green city concept, I imagined older buildings rebuilt and transformed into the modern. The Huntington is an old brick apartment building that has been gutted and partially consumed by a pair of modern concrete towers. The new space adds commercial space to the existing residences (as indicated by the mixed zoning colors on the base). 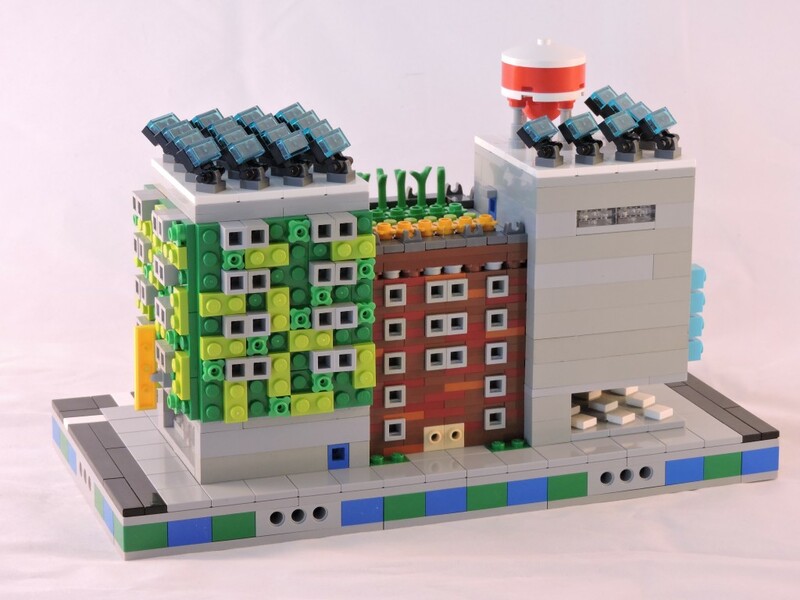 As with the other buildings in this series, I took influence from recent legislation in France that requires all new buildings to have either green roofs or solar panels. The old roof in the center is a vegetable garden serving the restaurant on the ground floor and the new towers have white roofs that are covered in solar panels. I particularly like the way that the brick turned out. I knew that I wanted the masonry to be plate-built, evoking the texture of bricks, but I don’t have much in the way of dark red plate, so I used reddish-brown as the base color and highlighted that with a mixture of dark red and dark orange. Looking at the back side of the building, we can see that one of the new towers is covered with a lush green wall, perforated by windows. At the other end is an open dining room for the restaurant. I added signage for both businesses in bright colors. 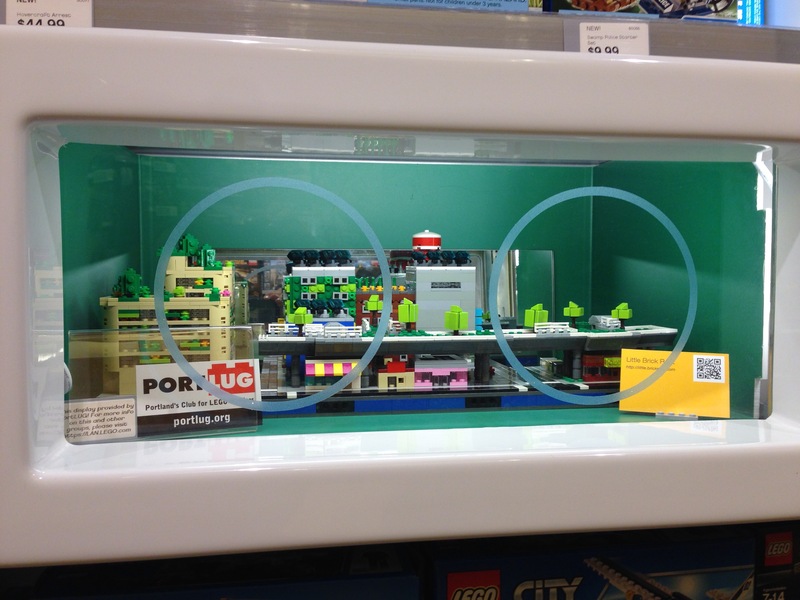 Last weekend I installed the finished trio in the community window at my local Lego Store. I have to say that they look pretty good in there!